Triumph was one of the leading arena-rock acts of the late ’70s and early ’80s. Striking gold and platinum with albums including Allied Forces, Never Surrender, and Thunder Seven and the radio hits “Fight the Good Fight,” “Lay It On the Line,” and “Hold On,” the trio offered a sound both anthemic and challenging – appealing to headbangers and proggers alike. 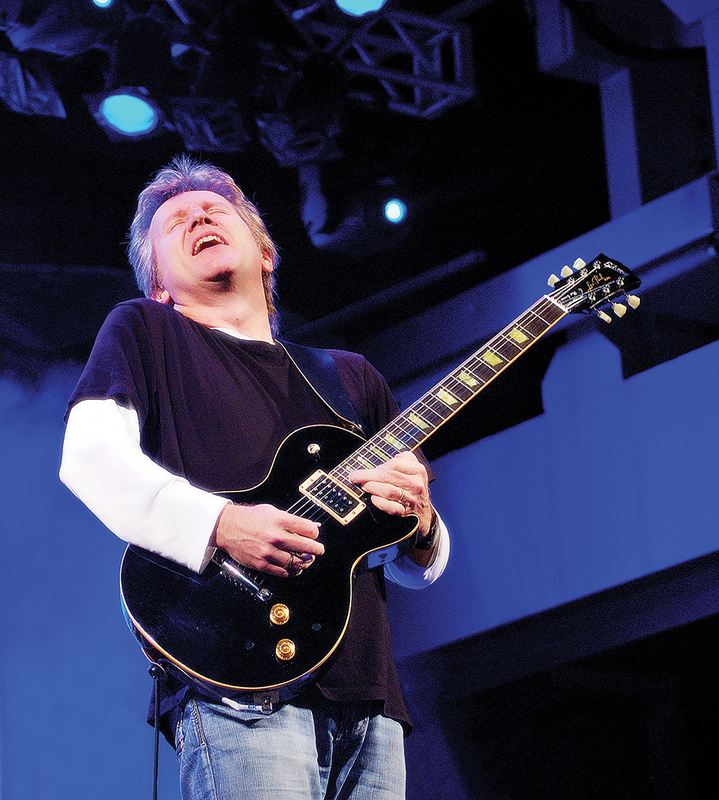 After exiting the band in 1988, singer/guitarist Rik Emmett continued on as a solo artist, issuing several solo albums beginning with 1990’s Absolutely as well as the all-instrumental Ten Invitations From the Mistress of Mr. E, the musically varied Good Faith, and a collaboration with Dave Dunlop, Strung-Out Troubadours. 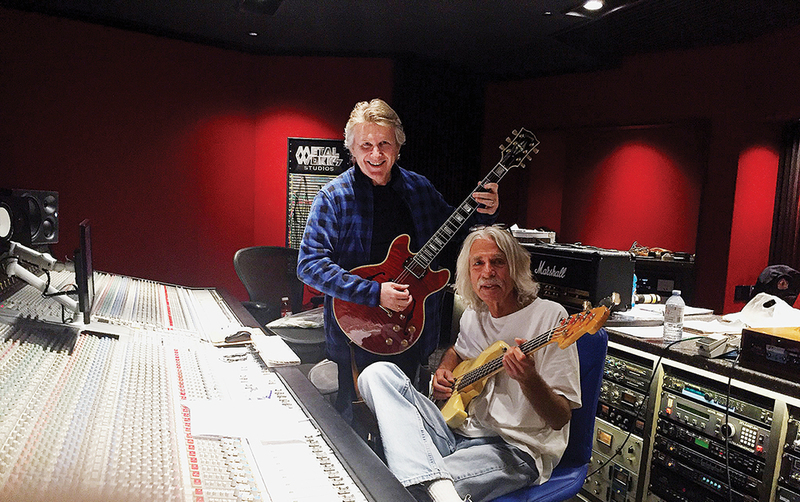 His most recent, RES 9, includes guest spots by Rush’s Alex Lifeson (“Human Race”), Dream Theater’s James LaBrie (“I Sing”), Lifeson and LaBrie together (“End of the Line”), and a reunion with his Triumph mates Gil Moore and Mike Levine (“Grand Parade”). 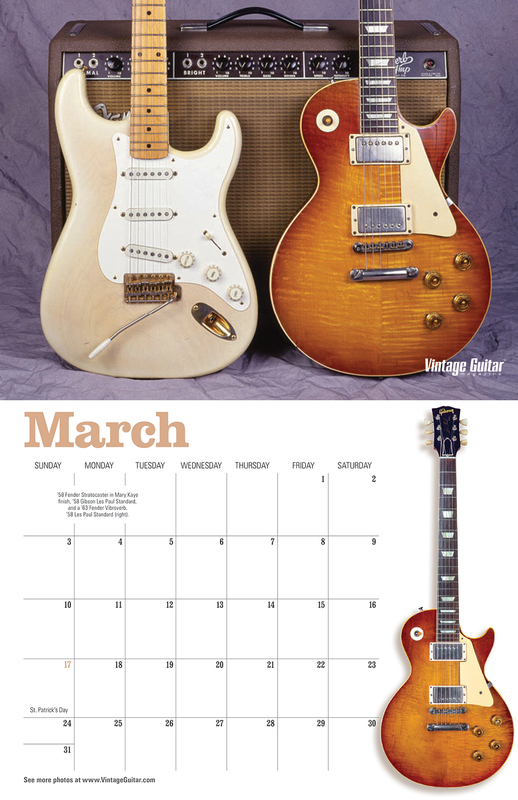 Guitar images: Stuart Hendrie. 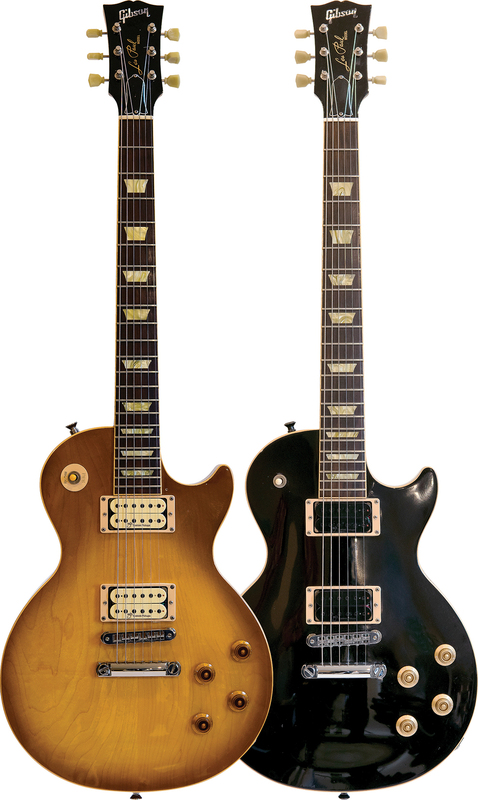 Emmett’s Les Paul Classics are chambered, giving them what he calls a “tone character closer to an ES/semi-acoustic.” Made in 2007 and ’08, they all have the ’60s neck profile he prefers. Res 9 is really different from your other solo albums. It is, and it was certainly much more a band effort than a solo singer/songwriter approach. I give a lot of credit to Dave Dunlop (guitar) and Steve Skingley (bass and keyboards), who co-produced with me. The process was old-school, in a way; there were voice and guitar demos I did in Protools, but we put the band in the studio for a week to work the songs, rehearse, and do band arrangements. Then we cut bed tracks to 2″ analog tape in a couple of days with Paul [DeLong, drummer], then transferred them back over so we could maintain big drum sounds. My old friend, Gil Moore, has Metalworks Studios, and he said, “You’ve got to do it here.” He was very generous about making sure my bill wasn’t too big (laughs), so we indulged ourselves through the process. His Gibson CS-356 has MJS pickups. 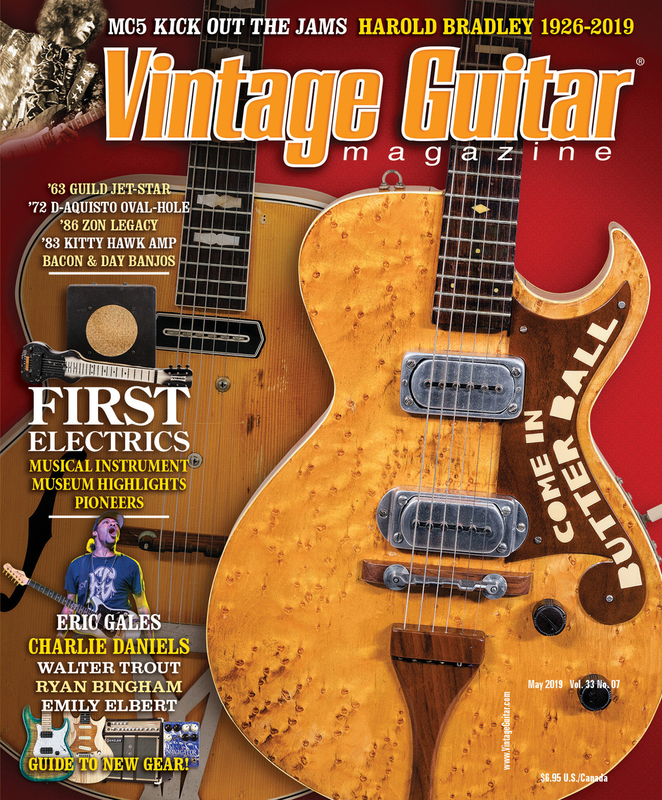 Who are your early guitar influences? Then there’s Led Zeppelin and Jimmy Page, and I was a Ritchie Blackmore fan – loved Deep Purple. Blackmore was as good as it got. By 16 or 17, I discovered English progressive bands. Steve Howe was my guy – Yes, along with Genesis and Gentle Giant. In terms of formative role models, I would say Howe became preeminent because one minute he’d be playing like Chet Atkins, the next minute like Hendrix, the next like one of those English nerds (laughs). I thought, “If I could only grow up to be like that.” But, just like any other player on that kind of a curve, when you start to hear Wes Montgomery, classical guitar players, Jim Hall, Joe Pass. There were a lot of players from when I was 17 or 18 until I was 21 or 22, when my taste was developing. Later in life, the biggest influence I still have – though you’ll never really hear it on an album like Res 9 – is Pat Metheny. He represents an unobtainable level of artistry in his way of thinking, playing, writing, and improvising. 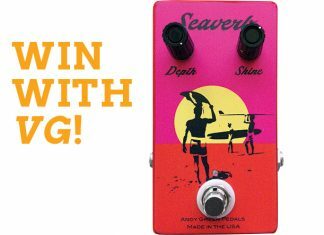 Do you have some favorite modern guitarists? I like a lot of what Edge does in U2. He’s a very creative, interesting player who gets great sounds. And how do you not bow down to John Petrucci in Dream Theater? He’s one of the best on the planet in terms of execution of what he does. Sometimes he gets a little “typewriter” for me, like, “There’s a lot of notes there in a big hurry.” But they’re always incredibly good notes, and his feel and time are just scary good. The older I get, the more I revert to bands that are almost retro in nature, like Rival Sons and Vintage Trouble. I saw Vintage Trouble on Letterman one night, and went, “Wow! This is a great band” because they kind of sound like they’re from 1969, ya’ know? It was very Zeppelin. Nalle Colt sometimes plays Les Pauls and sometimes he plays a Gretsch with a Bigsby. I still teach at Humber College, in Toronto, so I get exposed to a lot of stuff. Emmett, Levine: Steve Skingley. Emmett at work on RES 9 with Triumph bandmate Mike Levine. Which guitars do you use most these days? On RES 9, it was predominantly Gibson Les Pauls. I have three – a Custom Shop and two Les Paul Classics. They’re all chambered and made in 2006-’07. I also have a Gibson Custom Shop CS356, and it’s a beauty – I used it on some things. I also have a relationship with Godin, and they gave me a beautiful Supreme. So I used that on a few things. 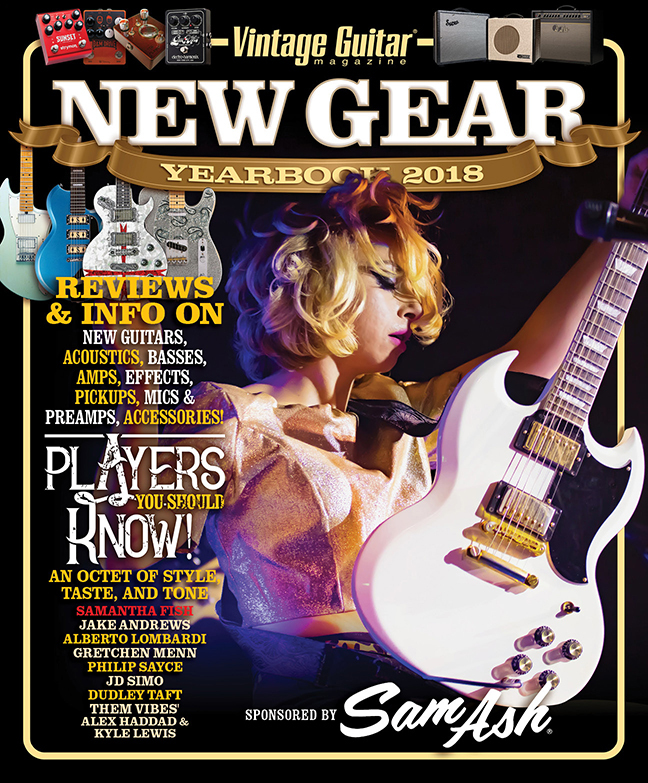 In the Les Pauls, I have MJS pickups; in the neck position are the Black Earth humbuckers, and what makes them cool is their neodymium magnets, which give a little more articulation at full-out level. 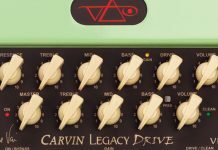 That’s always the thing with Les Pauls – when you play the neck pickups in a distortion setting but want a bit of articulation, you have to back it down a long way to get it to clean up. But with the low-powered neodymium magnets, they’re a little more articulate. The bridge pickups are their Humbucker IV, which have ceramic magnets and measure a little more than 13 ohms – pretty hot. The Godin has an MJS in its front position, I told Mike Smith, who runs MJS, that I wanted it to have an archtop character – a little more “acoustic.” So, he put a split-single with an Alnico magnet in the front and a custom Humbucker III in the bridge, which is a little less-powered than the Les Paul one. He alternates the pole pieces on it – an Alnico and a steel slug; that’s Mike doing his crazy-professor thing. 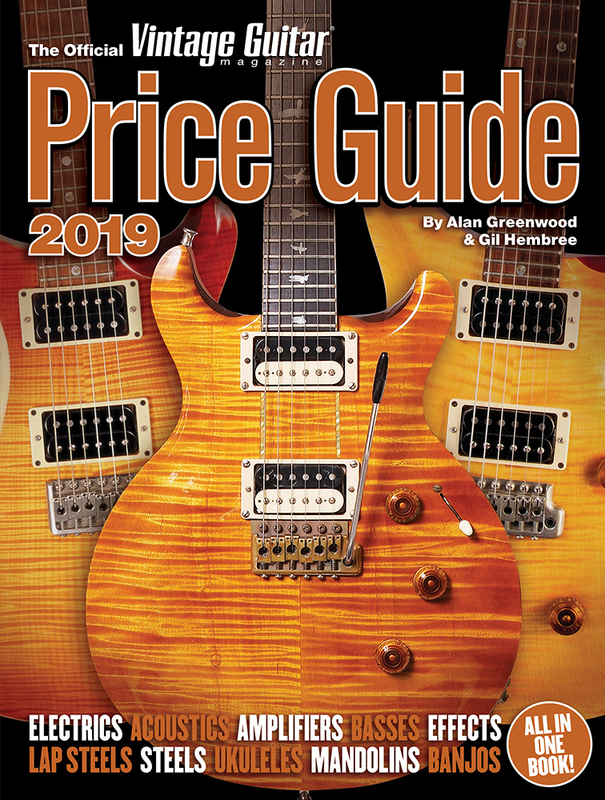 The 356 might have an even higher-powered bridge pickup… it doesn’t have quite the same creamy, smooth power the Les Pauls have. 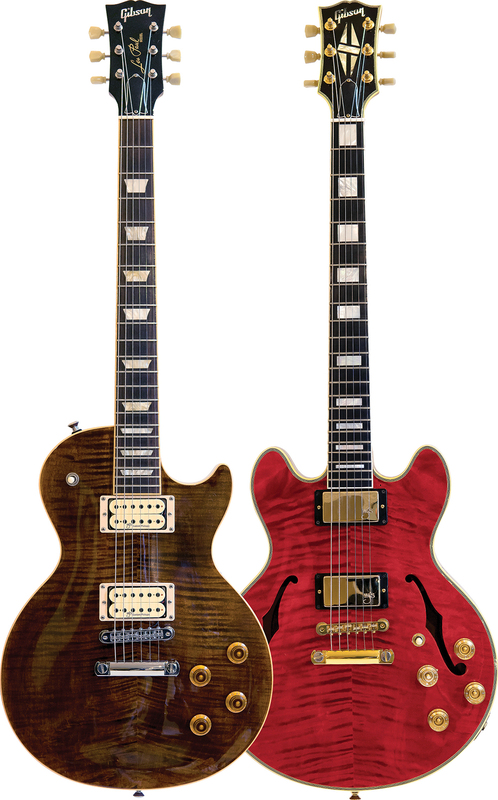 The Les Pauls, being chambered, head a little bit more toward a 335, and I love 335s. I would use a 335 if I wasn’t 5’8″. I saw a video of me once playing my old 335s and I thought, “My God, I look like a little kid who borrowed his uncle’s guitar!” Whereas a Les Paul more or less fits me. 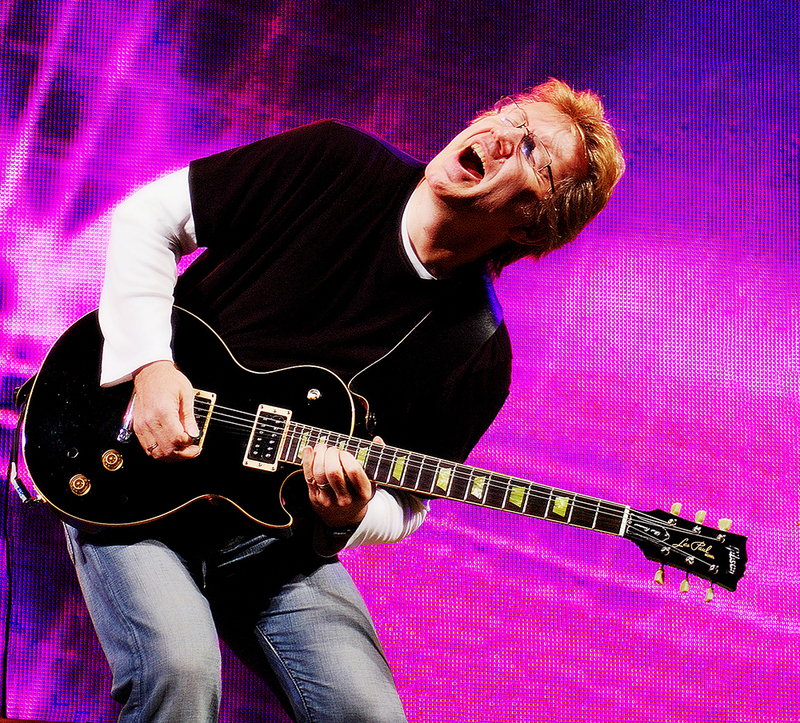 I like the tone of chambered guitars or semi-acoustics, and the Les Paul, to me, is the most versatile. I have a Gibson Custom Shop doubleneck, and used the 12-string on a couple of little things, and I used a Yamaha Pacifica 1 – a Weddington Custom Shop. Those guys made that for me back when I was a Yamaha guy, ’95 or ’96. I think they call it a USA-1. It had a Tele-style body but it’s like a Strat with a humbucker – single/single/double and a whammy bar. 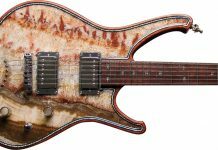 So, what you hear on “Sweet Tooth,” the out-of-phase/fingerpicked stuff on the front of “Stand Still” and “Grand Parade,” was probably that guitar because I wanted a bit of that skinny Strat texture. Emmett, Levine: Steve Skingley. This Gibson Custom Shop EDS-1275 has its original pickups and is modded with an additional pickup selector, giving each neck its own to go with the individual master Volume and Tone. The neck-selector mini toggle (mounted between the tailpieces) reduces the chance it will be bumped by arm movement. Which guitars did you use back in the day? The one most people remember was the Framus Akkerman; now they call it the AK74. Jan Akkerman had become one of my favorite players in the “Steve Howe era.” I still think Akkerman was one of the best – a really interesting player with a great sound. Look at videos now, and you mostly see him playing Les Pauls. He hardly used the Framus live! 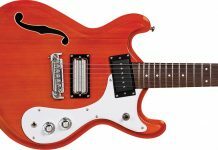 But, I liked the Framus; it had a wide fingerboard and a zero fret, plus the Gibson configuration of pots – Volume and Tone for each pickup – if you’re the lead guitar player but not the lead singer, you have the luxury of looking down to set your knobs and switches, so you get lots of tones and colors out of a two-pickup/double-coil configuration. But I’m a singer, so I don’t have a lot of time. I often get my guitars re-wired so I can change levels without looking – really, all I ever use is a master Volume because I’m singing, working the crowd, being the front man. I don’t have the luxury of fiddling with knobs and pots. 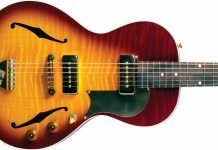 The Akkerman was a hybrid that looked like a Les Paul but had an f hole, master Volume/master Tone, and I also liked that its wide fingerboard made it easier to play fingerstyle. I thought, “That will be perfect for me.” I didn’t even play one before I ordered one. Framus had a distributor in Nashville, and the guy told me, “We only have one left in North America, and Chet Atkins is checking it out right now.” I said, “Well, see if you can get it back.” I don’t know if he was giving me a line, but it arrived and became my principal guitar from 1976 until Dean made me a V in ’81. I had Les Pauls at the time, too, but the Akkerman was my number one guitar for a lot of that period. There was also a Gibson doubleneck, but it was one of those where if you leaned backward it went sharp, and if you leaned forward it went flat. So I got an Ibanez Artist doubleneck… very heavy – like, piano heavy – but I used it every night. Dean later made me a big single-pickup I used a lot from ’81 to ’84, before I was full-on into Yamahas. Emmett, Lifeson: MarkWeiss. 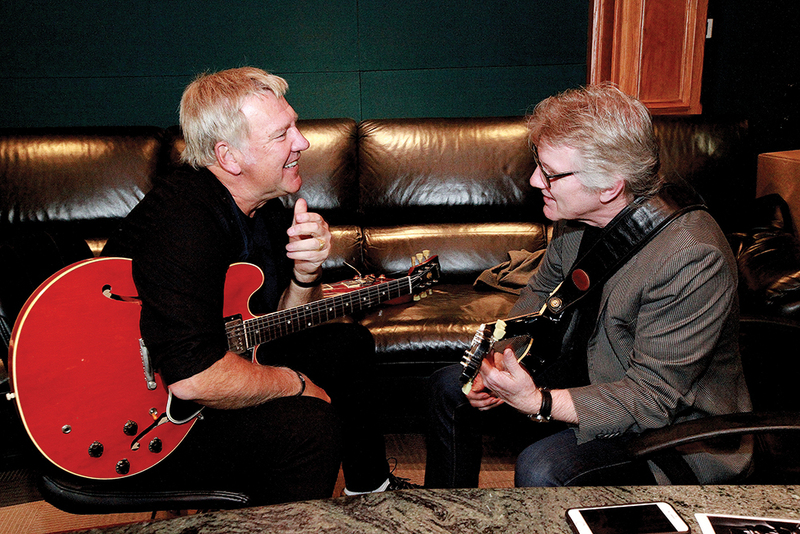 Emmett and Rush guitarist Alex Lifeson (LEFT) during the RES 9 sessions. In ’82 or ’83 I started using a Yamaha a little bit. My first ones were the SBG-3000 – top of the line double-cutaway similar to what Santana endorsed for a bit. Mine had Floyd Rose vibratos because we were in that era. They also made me a white doubleneck SG-style just before the MTV/big-hair period, when all guitars had hockey-stick headstocks; Yamahas were the RGX line before the Pacifica came along with a more Strat-/Tele-ish headstock. I used some of those over the years. I have some beautiful Yamaha archtops hand-made by Kiyoshi Minakuchi in their custom shop; everyone called him Jackie, and he was their archtop guy. The big ones were the 2000s like the one Edge used to play those long, singing feedback lines. Yamaha’s AEX series were like big Gretches, and I had a couple made with fancy inlays and my initials on the heel caps. My favorite was a smaller AEX-1500, and I think Martin Taylor helped with the design. It had a piezo bridge, floating pickup, and a preamp to blend them. It’s a fantastic guitar. Emmett, Levine: Steve Skingley. 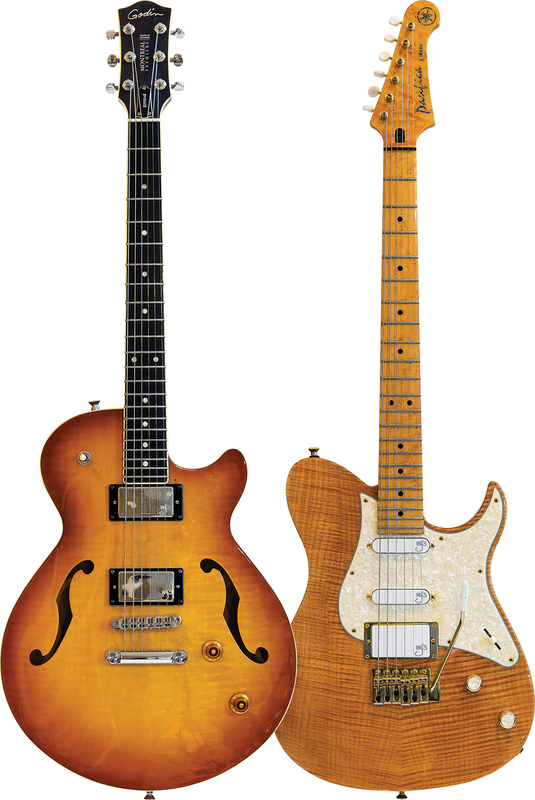 (Left) This Godin Montreal Supreme is “…light as a feather, and the Richlite fingerboard with big frets is smooth as butter,” said Emmett. (RIGHT) This Yamaha Pacifica USA-1 was made in the company’s L.A. Custom Shop. 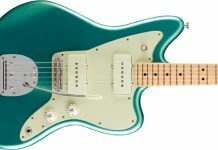 How did your taste in guitars develop through the years? 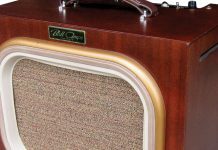 Do you still have the Triumph-era instruments? Unfortunately, I don’t. You’d have to go to Hard Rock Cafes to find some of them. My wife and I moved last year and I downsized, so I gave a lot of my guitars to my kids, along with my gold albums. I only kept about 30.